Invigorating and detoxifying, this all natural bar of sea salt and spearmint soap is popular! Spearmint is a strong scent; steam from your shower will carry this and add some zest to your morning! The sea salt in this bar will nourish and exfoliate, and as the bar wears down, it will become smooth (like a stone) and polish skin. About My Soap: My soap is made in very small batches, entirely by hand, with only the purest ingredients. The natural glycerin of cold-process soap is retained when it's made so this soap cleans without stripping away natural oils. 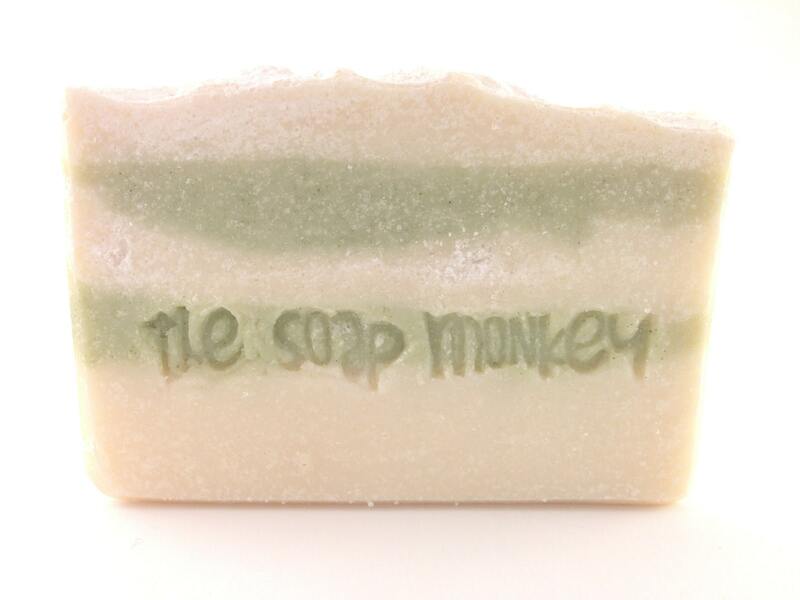 This formula is enriched with Shea butter and quality oils such as coconut, olive, castor for a luxurious soap.